Welcome to the student area of the project maths website. Here you will find a wide range of resources to help you with your maths. You can navigate the student area using the menu on the left-hand side of the page. New resources uploaded to www.projectmaths.ie are highlighted below. At both junior cycle and senior cycle you are expected to be able to carry out a number of constructions using a straight edge, compass and set squares. Furthermore you are expected to understand the maths behind each construction and how it connects to other theorems and constructions in geometry. Our video tutorials guide you through the construction work and then explains why the constructions works. Take me to the geometry tutorials. Learning to use your calculator is an important part of learning maths. 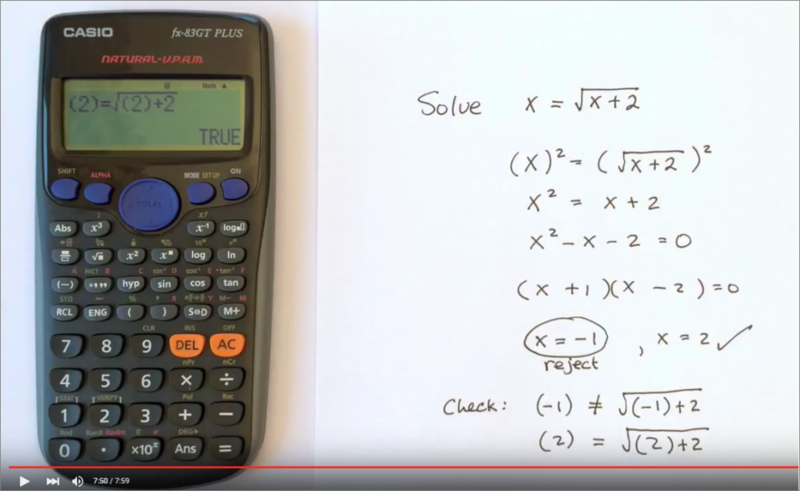 Check out our videos and PowerPoints which explain how to use your calculator to help with probability, statistics, trigonometry, number, algebra and functions. Take me to the calculator page.